It may not be as famous as its Colombian cousin, but Puerto Rico has enjoyed a long association with high-quality coffee because the rich volcanic soil, altitude, and climate of Puerto Rico's interior provide the perfect place to grow coffee plants. The coffee bean came to the island in the 1700s, during Spanish colonial rule from the island of Martinique, and was predominately consumed locally. 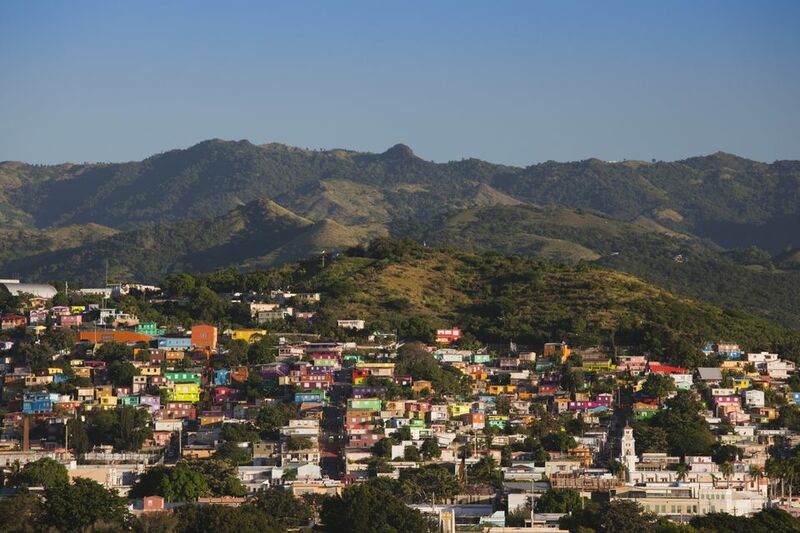 It wasn't until the late 1800s that coffee became Puerto Rico's principal export, and in fact, the city of Yauco, tucked in among the mountains, is famed for its coffee and is known as El Pueblo del Café, or "The City of Coffee." Today, however, the top exports of Puerto Rico do not include coffee due to issues such as the high cost of production and political unrest. Still, the Café Yauco Selecto and Alto Grande brands are among the best-known premium blends the island has to offer, with Alto Grande considered "super premium," the highest quality coffee in the world. Puerto Rican coffee also gave rise to agrarian mountain folk who have become romantic symbols of working-class Puerto Ricans known as the Jíbaros. The Jíbaros were country folk who worked the coffee plantations for the wealthy haciendas or landowners. Unfortunately, they were barely better off than indentured servants, and since they were uneducated, their most lasting form of expression came through music. The Jíbaros kept their spirits high throughout their long work days by singing songs that are still popular in Puerto Rico today. Generally, there are three ways to order your coffee: espresso, Cortadito, and café con leche, though café Americano is another, less popular option. Puerto Rican espresso is no different than a standard Italian espresso, as it is made in an espresso machine and usually taken black. A local term for espresso is pocillo, which is a reference to the small cups in which the drink is served. Another popular choice is the Cortadito, which anyone familiar with Cuban coffee will know; similar to a cortado, this espresso-based drink has an added layer of steamed milk. Finally, café con leche is like a traditional latté, but in Puerto Rico, it usually involves a large pour of milk served in a large cup. Many Puerto Rican recipes for this popular blend involve a combination of whole milk and half-and-half gently cooked in a skillet, though there are several local variations to this method. Several tour companies offer trips to coffee plantations, which take guests on a fun adventure to Puerto Rico's interior. Popular tour companies include Acampa, Countryside Tours and Legends of Puerto Rico, which all offer coffee-themed day-trips. If you're a bit more adventurous and would like to visit on your own, the following all offer tours and welcome visitors, just make sure to call ahead before you go: Café Bello in Adjuntas, Café Hacienda San Pedro in Jayuya, Café Lareño in Lares, Hacienda Ana in Jayuya, Hacienda Buena Vista in Ponce, Hacienda Palma Escrita, La Casona in Las Marías, and Hacienda Patricia in Ponce. Remember to pace yourself if you plan to visit more than one of these plantations as fresh Puerto Rican coffee is rather strong in terms of caffeine content. It is not recommended for visitors to drink more than four cups of this strong blend a day.